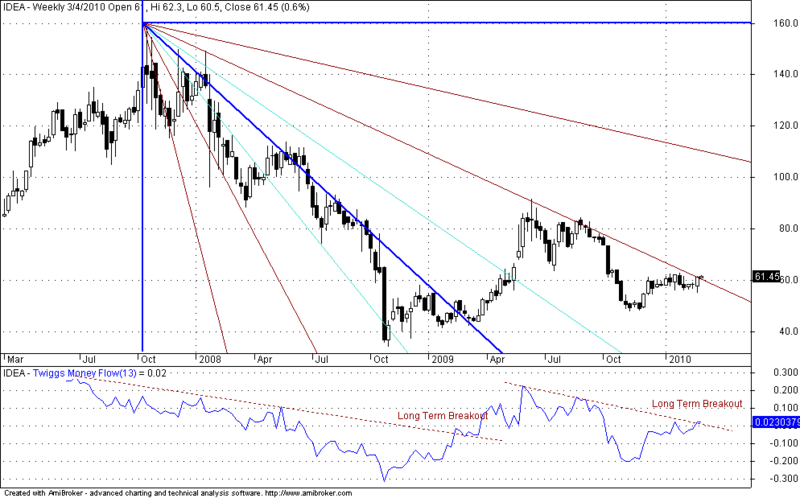 I have just two charts with me take a long term buy call in Idea. Lets have a look with the first one. First Chart is as usual my all time favorite long term Breakout GANN Chart of IDEA with long term supports available at Rs59-60 region. and ofcouse the next long term supports are available currently at Rs 108 which decreases with respect to time. I have been visiting this site for quite a while. 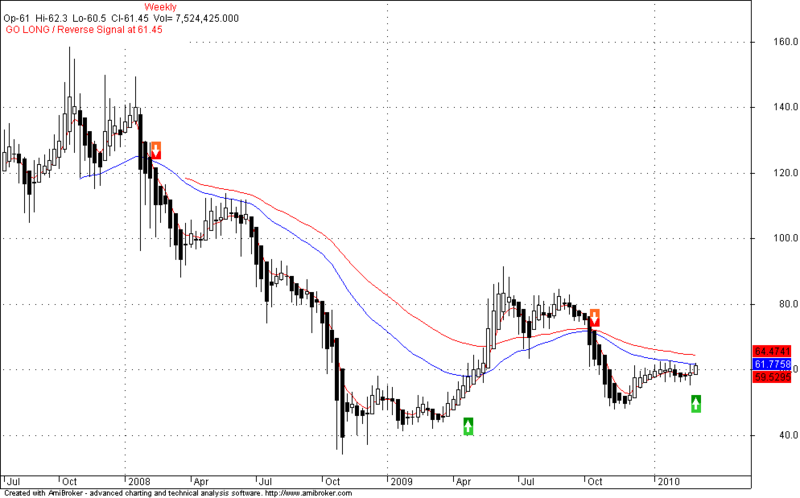 Anyways, I am seeing this NMA weekly for the first time..
Can u please explain abt this, if possible..